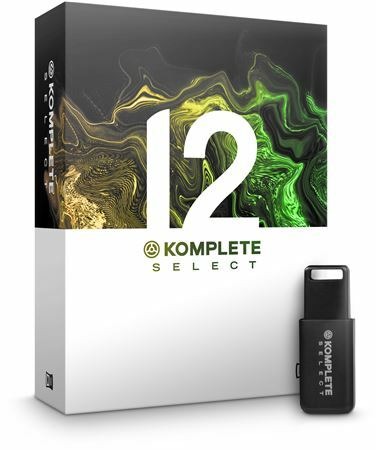 Order your Native Instruments Komplete 12 Select Software Suite from AMS and enjoy 0% Interest Payment Plans, Free Shipping, Free Extended Warranty & 45 Day Money Back Guarantee. 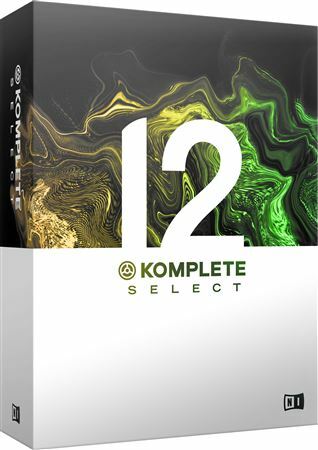 The perfect introduction to pro-grade sounds for production and performance, Komplete 12 Select provides a huge array of sounds and effects to sink your musical teeth into! From cutting edge synths to studio-quality effects, this collection contains 14 premium instruments and effects – including MASSIVE, MONARK, and DRUMLAB – plus three Expansions. Seven sampled instruments powered by KONTAKT 6 PLAYER – from the classic upright piano tones of THE GENTLEMAN to the authentic percussive and melodic instruments of DISCOVERY SERIES: WEST AFRICA. Three effects – REPLIKA for pro-grade delay; PHASIS for classic phasing sounds with a twist; and SOLID BUS COMP for adding power and punch to tracks, buses, or a full mix. KOMPLETE 12 includes three hand-picked Expansions – genre-specific sound packs loaded with synth presets, drum kits, one-shots, samples, and loops. Created by top artists and sound designers, Expansions can be used in any DAW and work with a range of Native Instruments products, including MASSIVE, BATTERY 4, and MONARK.